Maintaining your seniors’ emotional health is just as important as ensuring their physical health. You will find that when their hearts are happy and filled with love and security, it manifests in their overall state of health. They are more driven to do things that give them back their old flames, finding a new hobby, and of course, it keeps feelings of depression at bay. Depression and anxiety are often triggered when they are not able to look for an outlet for their emotions, but what better way to do that than to talk? Communication is of utmost importance, first and foremost, but someone has to be there to be able to listen to them. Visit them as often as you can. Help them find a new hobby. Do not keep them sitting in one place for too long. Help them find their own circle around the neighborhood by encouraging them to attend community gatherings and fairs. Make sure that they do not forget to exercise. The whole point is to secure budding feelings of insecurity, depression, and anxiety that come with being alone. Aging is in a whole different league on its own when it comes to the level of wisdom, and knowledge that they gain. But along with that, are the losses of loved ones and certain traumatic experiences that might have been hard to overcome. 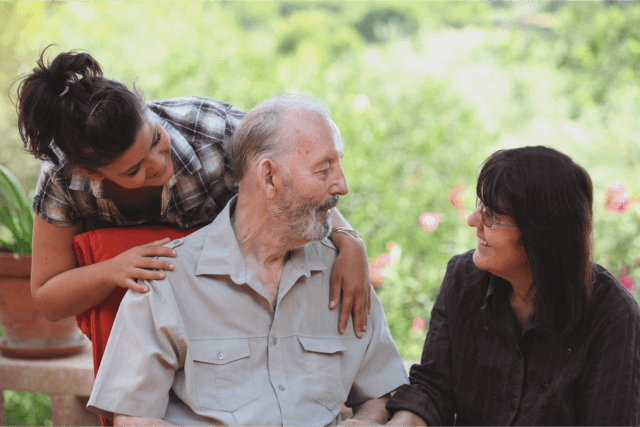 However, you can do something else to help your senior loved one cope with emotional turmoil and that is with the constant companionship that we, at Buckeye Home Health Care, can give. We provide Home Health Care Services in Ohio, and your senior loved ones are our priority. We can fill in for the days when the cloud is a little bit darker at home, and you need a more professional hand to ease not just emotional, but also physical turmoil as well. Call us at 614-776-3372 for further inquiries and information about the services we can give your loved ones. This entry was posted in Senior Care and tagged Communication, Companionship, Emotional Health. Bookmark the permalink.